Things seem back to normal in blogdom now that the Easter holiday has passed. It was pretty intense there for awhile with all those bunnies and mile-long linky parties! It was inspiring to see all that creativity. 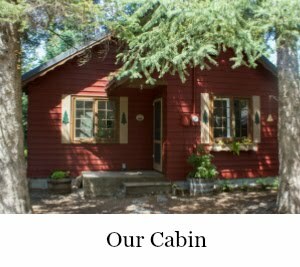 My Friday Finds come from my favorite blogs, Pinterest, and interesting links I find here and there and follow to their sources. They aren't necessarily brand new ideas from the current week. Sometimes they're new, but sometimes they're ones I've saved up. I will never post Friday Finds that can't be linked to their original blogs. This absolutely adorable pillow was made by Pamela at From My Front Porch to Yours. 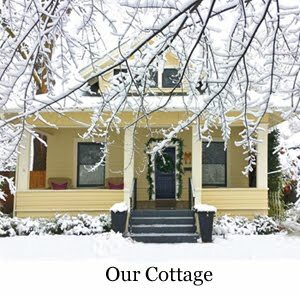 (I love her blog's name because I can imagine us waving at each other from our front porches.) 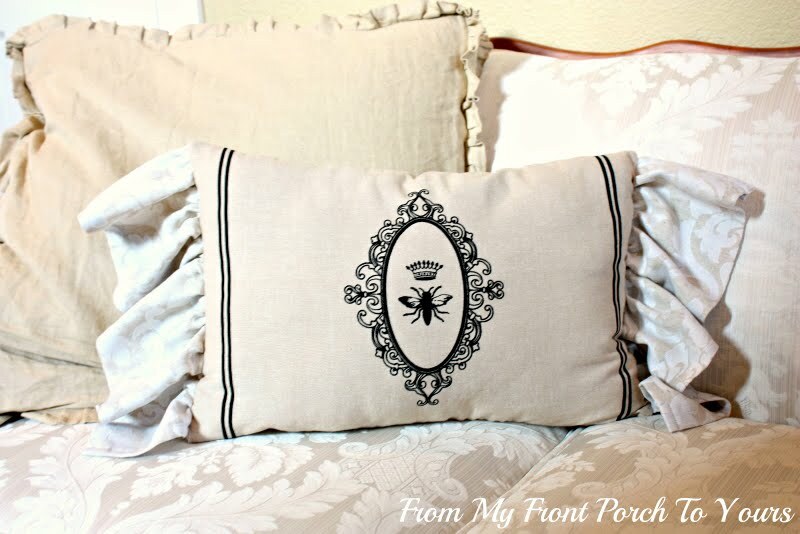 Pamela made this ruffled pillow from a damask curtain and dish towels! Roeshel at The DIY Showoff shares a tutorial for her 3D "love" letters made out of Styrofoam, pretty papers, and ribbon. Her mantel is a breath of fresh spring air. 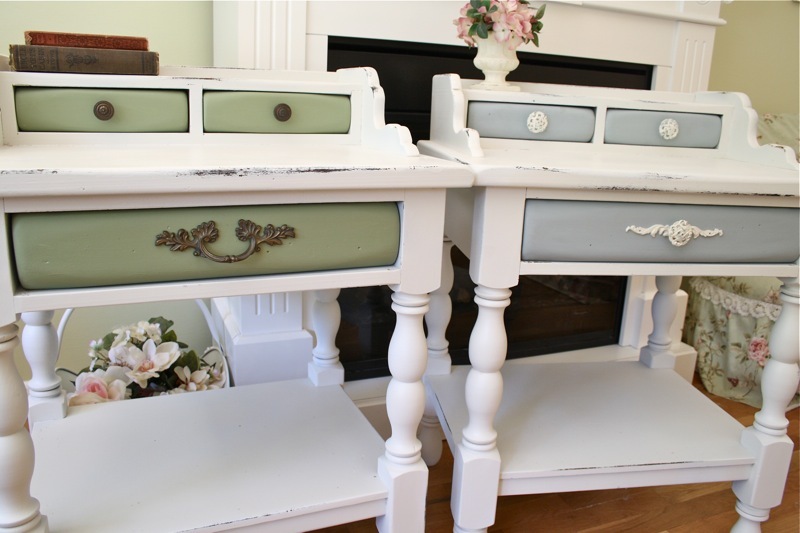 The Polka Dot Closet calls these matching tables "The Twins." I can't choose a favorite, can you? Sharon at Elizabeth & Co. loves anything with numbers and letters. She turned a galvanized tub into a planter and stenciled her house numbers on it. Love it! 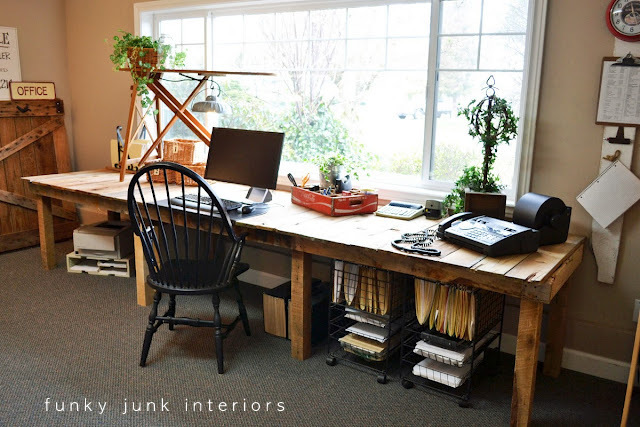 Donna over at Funky Junk Interiors made her $3.00 office table from pallet wood and cedar planks. 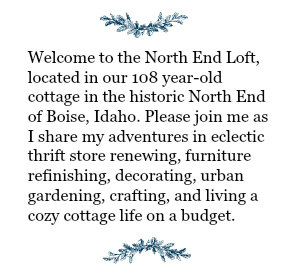 You'll need to scroll down about 2/3 of the linked page to see it, but scroll slowly because you won't want to miss one single room of her house tour. I wish I'd seen Donna's table before I made mine, because I would have copied it! It's perfect. 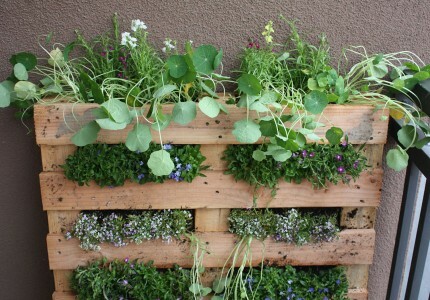 This pallet garden and tutorial were shared by Fern at Life on a Balcony. As an urban gardener on a small lot, I'm always looking for new ideas for small space gardens, and this one's affordable and looks great. 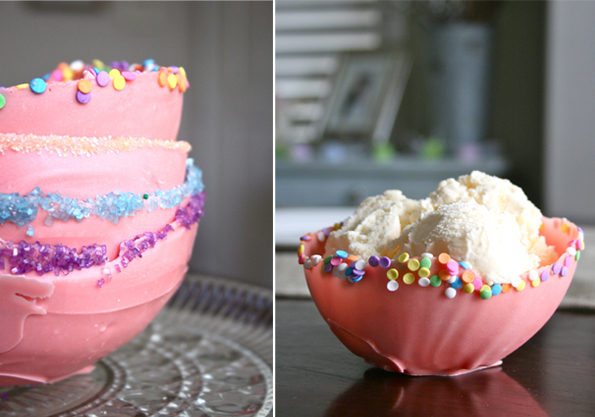 I think it would be good for strawberries, too. Thanks so much for the sweet surprise Laurel! 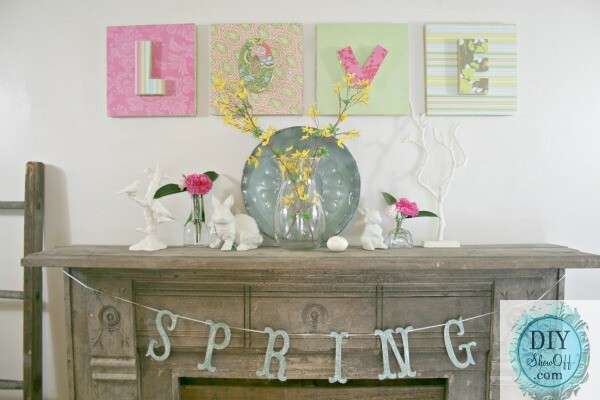 Laurel, thank you so much for including my spring mantel/3D love letters in your Friday Finds! Puts a big smile on my face! Thank you! Have a wonderful weekend!